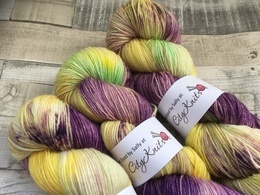 This yarn is hand dyed by Sally @ Cityknits using professional grade dyes.<br> <br> The Skeins are hand dyed in small batches, and therefore some small differences may occur between batches. 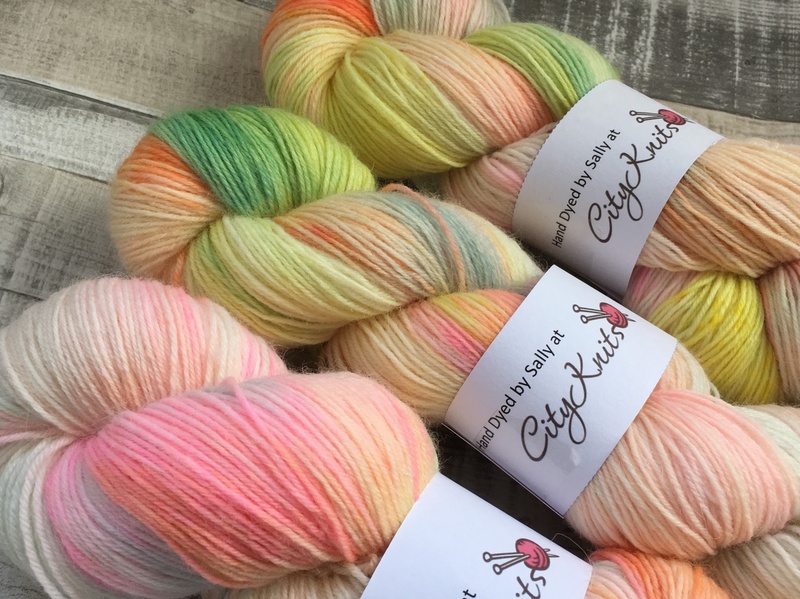 Cityknits would recommend that you purchase enough yarn to complete your project as like commercial dye runs future batches may not match. 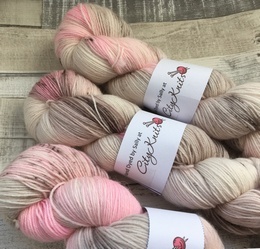 If there are not enough of a certain colour-way in stock for the project you have in mind, please get in touch as Sally maybe able to do a custom dye for you.<br> <br> We would recommend, for the first wash all items made with our yarns should be hand washed in cold water and dried flat. 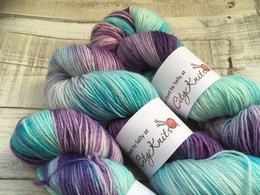 Washing instructions are provided on the the individual yarn labels.<br> <br> Due to the dyeing process, you may experience a small amount of colour bleeding on the first wash, this is perfectly normal and tends to be deeper colours such as purple and turquoise. <br> <br> We’ve tried our best to capture the colours as accurately as possible in our photographs but subtle differences can occur between screens. 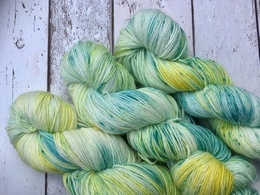 This yarn is hand dyed by Sally @ Cityknits using professional grade dyes. 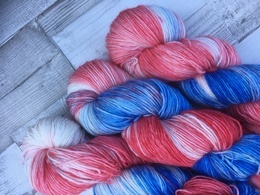 The Skeins are hand dyed in small batches, and therefore some small differences may occur between batches. Cityknits would recommend that you purchase enough yarn to complete your project as like commercial dye runs future batches may not match. 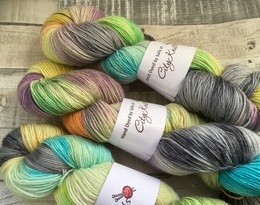 If there are not enough of a certain colour-way in stock for the project you have in mind, please get in touch as Sally maybe able to do a custom dye for you. We would recommend, for the first wash all items made with our yarns should be hand washed in cold water and dried flat. Washing instructions are provided on the the individual yarn labels. 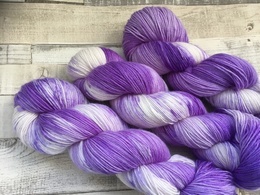 Due to the dyeing process, you may experience a small amount of colour bleeding on the first wash, this is perfectly normal and tends to be deeper colours such as purple and turquoise. We�ve tried our best to capture the colours as accurately as possible in our photographs but subtle differences can occur between screens.